The upgrades to the theater will begin in September and take several months to finish. New, reclining Cinemark Luxury Loungers with extendable footrests, cup holders and comfortable, plush seating will be installed in all 20 auditoriums in the theater for guests’ enjoyment. Another new addition coming to the theater is a Cinemark XD auditorium. XD auditoriums feature wall-to-wall screens, multi-channel speakers with custom-engineered sound and state-of-the-art projection systems that can deliver 35 trillion colors. The XD auditorium also has the Luxury Lounger seating for guests’ comfort. 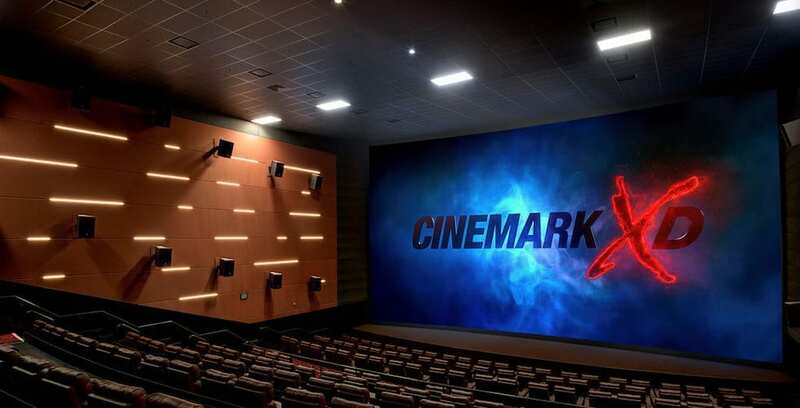 Those who visit the new Universal Cinemark will be able to enhance their moviegoing experience through Cinemark Movie Club, a monthly movie membership program that offers ticket and concession discounts, along with other exclusive benefits. This new theater is the start of a partnership between Universal Orlando and Cinemark Theatres. The current Universal AMC theater will close on Friday, Sept. 14 to prepare for the debut of Universal Cinemark. Remodeling work will then begin to add all of the new enhancements. There’s no word if the Cinemark theater just down the street from Universal at Artegon will remain open once Universal Cinemark opens its doors. We will update this story with more details as they are released. To learn more about other Universal Orlando CityWalk offerings, visit UniversalOrlando.com.